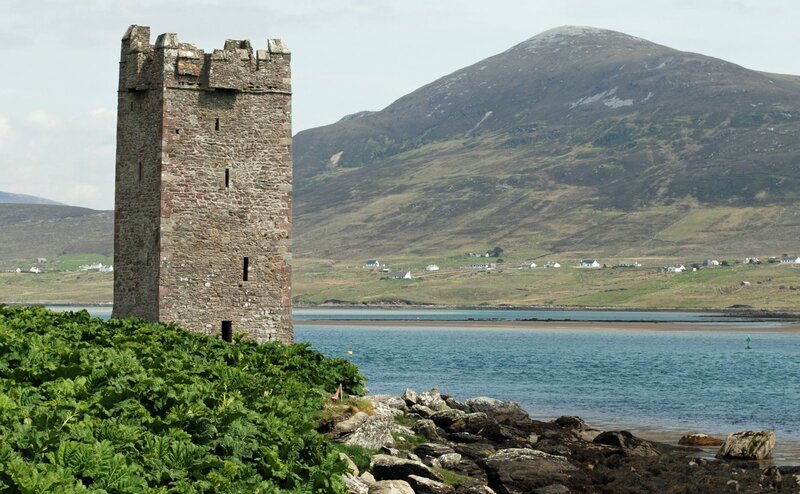 A popular stop on Achill Island, the Kildavnet Tower once belonged to the 16th century Pirate Queen, Grace O'Malley. 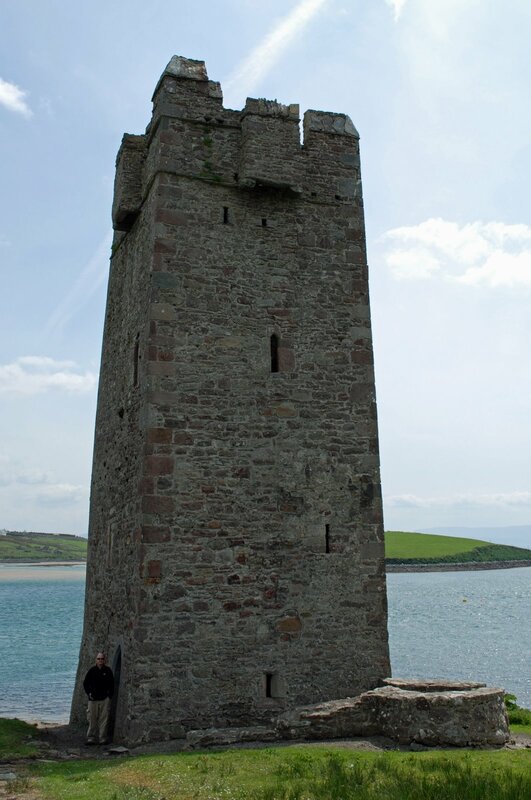 The tower is also called Kildownet Castle and is located on the south easter corner of the island. In the picture below, you can see Doug standing in the doorway. 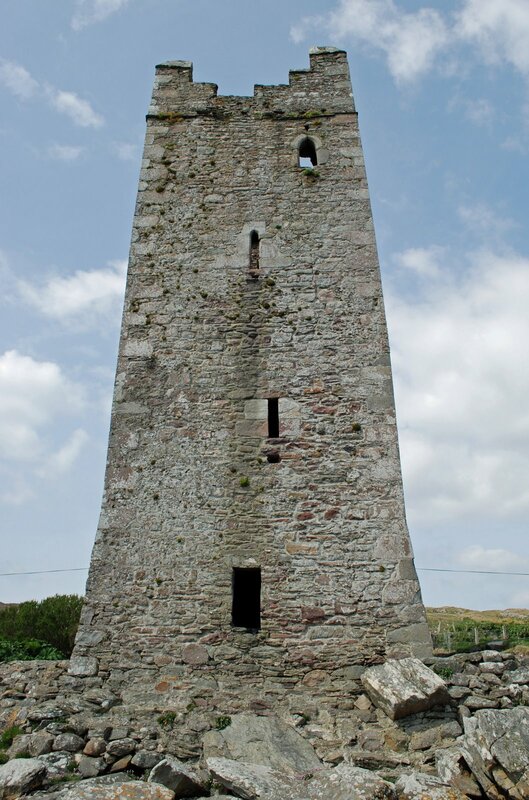 I was surprised at how small the inside was, and wonder how many people would have stayed in the tower.